And then it was a year and a month after the show at the Paradiso in Amsterdam. That night was special in its own right for here was the maestro himself with a great backing band and they treated the sold out Paradiso to an evening full of The Lamb Lies Down On Broadway and other Genesis highlights that had ever featured the talents of the then young Steve Hackett. 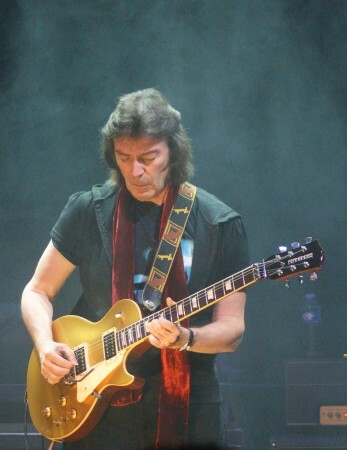 A year and a month later, in the still new Markant theatre in the small town of Uden, (that earlier was home to the manufacturing facilities of EMI, mothercompany of the famous Charisma label that also released the early Genesis albums) Steve Hackett returned to the Netherlands. In a sold out venue that had its baptism of fire only on the 16th of November when Marillion played the modern and yet intimate theatre. Great sound it had then and that was just the case on this night. Many an older man, not as many older women yet even less very young people gathered for this evening of Genesis festivity as Steve was to play another Genesis Revisited concert. What is there to be said? The crowd already got excited when Steve opened with Dance On A Volcano after which he declared that another song featuring the reference to dance in the title and a sense of magic was in the air, for that meant Dancing With The Moonlit Knight to be played. Roger King did a great job on the keys and Steve himself put the song down with equal parts subtlety and, when called for, fervour. Whereas Nad Sylvan in his vocal parts last year might have added just too much of theatrical approach, this time he did his part more in balance with the music. On bass Steve was joined by none less than Nick Beggs, whom we all know and love for his bass duties in Kajagoogoo and, more recent, as the bass player in Steven Wilson’s band. 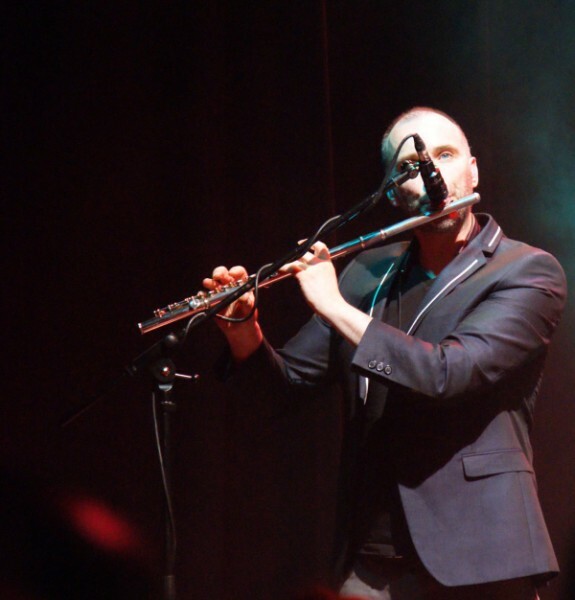 Rob Townsend added alt sax and flute to the song, beautifully bringing the song to a close. It was Rob Townsend’s alt sax that also gave a special flavour to Squonk, that was up next. In this song it is clear that Genesis had the ability to write timeless classics without necessarily having to step over a certain time length of songs. Nad Sylvan proved that he mastered the Phil Collins’ sound as well and as the song came to its closing, it were again Steve’s hands that proved even in 2014 he still masters the track. Next up were two songs from The Lamb Lies Down On Broadway, sung by Gary O’Toole. First off there was Fly on a windshield inevitably followed by Broadway Melody Of 1974. Steve treated Uden to an extended guitar solo and had even the toughest critics silenced before the second song started. 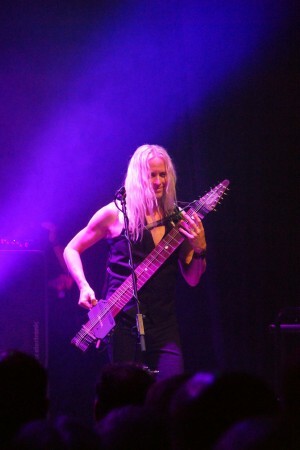 The song getting extra punch by Nick Beggs thunderous bass. Good to see Gary O’Toole more relaxed at his part than last year in Amsterdam, or so it seemed. As appealing as the thought of another Lamb gem was, that did not come to be. Not yet. The band pulled out a storming version of The Return Of The Giant Hogweed, that had Steve and Rob both portraying the anger of the vengeful hogweed paving the way for the slaughter of mankind, the song ending great. One could only say: “Heraclea Mantegazziani”! What could be up next, Uden wondered. And in soft spoken words, Steve declared the next song to be all about Greek mythology and Fountain Of Salmacis was played. Goosebumps all over the place. Genesis may have been a great band to see live, but what Messrs Hackett, Beggs, O’Toole, King, Sylvan and Townsend delivered tonight in terms of how tight the band were and how much fun was had on stage in playing these songs, made everyone aware that this was a great night with a band in great form. They had more songs up their sleeves as Salmacis was followed by that other classic, The Musical Box. By the time they had this song finished, Uden was ready to tear the place down. What a performance! Fortunately for the people at the Markant, Hackett and his band slowed things down with I Know What I Like. After that, it was time for an instrumental part as Steve played a medley of Black Light, Blood On The Rooftops and Horizons. Worked out very nice before Roger King took Uden to Scotland dearest as he played the famous intro to Firth Of Fifth. 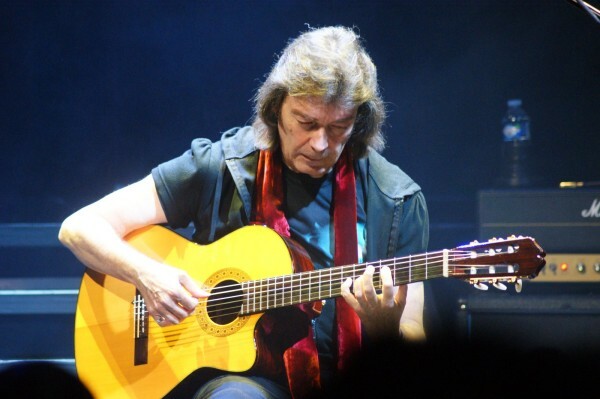 Even more than the tour de force that undoubtedly was to follow, everybody was longing for that Steve Hackett solo and, yes, exceptionally beautiful it was. Still reflecting on how beautiful this version was, the Markant theatre had another thing or two coming starting with another Lamb gem: Lilywhite Lilith. What could be next except for the grand finale? Well, another surprise as the band ripped into a roaring version of The Knife. 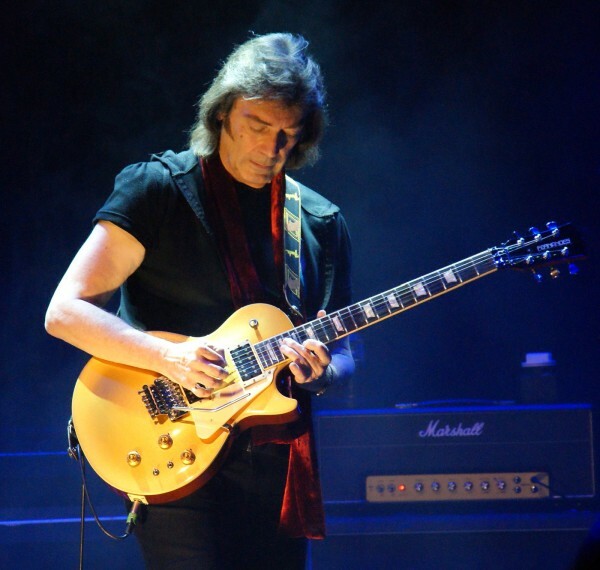 Even though the song was not recorded originally with Steve Hackett at the six string, yet with Anthony Phillips, Steve did get to play it live in the days of yore. After all, it’s his take on the song that makes this song the heaviest on Genesis Live. The song to end all songs then? Indeed, the band did glide comfortably into Supper’s Ready, the übertrack with its various bits and pieces put together got a very punchy performance as well. Who would have known that this was the third Genesis song this evening that at least so much as referred to dancing? Not that anyone would have noticed the jumping around or whatsoever, but for not being into dance that much, which they later openly confessed in I Can’t Dance, Genesis sure made a lot of use of the word. Well, the curtains might have been drawn to a close after this song and still, all would have been well. Not so. The crowd wanted more and with a great Watcher Of The Skies (which actually was last year’s opener) and an awe-inspiring version of Los Endos Steve Hackett set the Markant and its audience free and back home, the uprising shouts of ‘We are only freedom’ ringing in several ears as the recollection of this evening made its way into the memory banks of all those who were there. A great concert by a great band. Dank je wel, Steve Hackett. The last time I witnessed a Steve Hackett gig was somewhere in the nineties when he toured with an acoustic set, accompanied by his brother John. In a reasonably packed hall in the Rotterdam harbour he played an intricate set of instrumental pieces. Highly enjoyable and highly appreciated by all those who were present. For some reason I never got to see him live since then. Maybe it was because the dates were inconvenient, maybe because on all his albums there were one or two tracks I really didn’t like, I simply can’t remember. His latest album, Genesis Revisited II, was a big disappointment to me because I had expected it to be full of new interpretations of classic Genesis songs. It isn’t. Still I went this time, lured by a colleague and a good decision that turned out to be! First of all because of the venue. The newly renovated Markant in Uden is a really nice place to be, with very friendly staff, reasonable prices and an amazing crystal-clear sound. Secondly, and of course most important, mr. Hackett gave an extremely nice set with, indeed, all classic Genesis songs that were mostly played the way they were recorded many years ago. Yet that was only on the surface. For his excellent band, with an amazing Gary O’Toole on drums, vocals and percussion, the incredible Roger King on keys, Nad Sylvan on vocals, a smiling Nick Beggs on bass and Chapman stick and Rob Townsend on flute, tenor sax and other woodwind stuff, gave very, very competent renditions of these classic versions, adding subtle twists and new instrumental colours in vital parts (tenor sax instead of flute in Firth of Fifth; it worked very well!) that made this an outstanding evening. Mr. Hackett himself is no longer the shy guitarist he used to be but instead a very nice, friendly and charming host, welcoming us all warmly. From the beginning he packed us all in completely by stating that he still loves to play the Genesis material because he’s proud to have been part of that musical history and will forever stay that way. What better reason is there to give? I guess that most of all expected that the Watcher Of The Skies would open the set. Instead Dance On A Volcano set the stage after a short classical intro. I really love that song, as I cherish the Trick of the tail album as being the best album Genesis made (that’s a tricky one…), It also works very well as a opener because of its energy and tempo. There were more surprises to come. The Return Of The Giant Hogweed was very nice to experience live, while The Knife was a really big surprise because mr. Hackett didn’t play on the Trespass album himself. 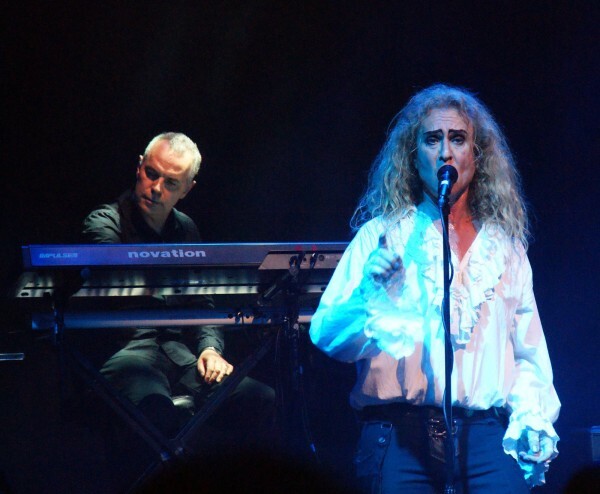 But the biggest surprise was the inclusion of The Fountain Of Salmacis, a song rarely played live although it was ‘one of my favourites’ as Steve stated himself. This beautiful gem was one of many highlights on this unforgettable evening. Another one was the great rendition of Supper’s Ready with an extended guitar solo at the end; it could have gone on for many more minutes! There was also a rather short acoustic intermission in the middle of the show, impeccably played on the nylon strings but a bit too short to my taste. If I was to mention a weak side to this gig then it was Nad Sylvan. His singing was adequate, in some songs (Dancing.., The fountain…, Supper’s ready) actually quite good but in some also quite weak (Squonk, The knife). Yet it is no sinecure to replace both Gabriel and Collins on lead vocals and the fact that he was devoted to his task made up for his weaker moments. Devoted to their task they all were, not forgetting to have fun among themselves and to enjoy the gig. 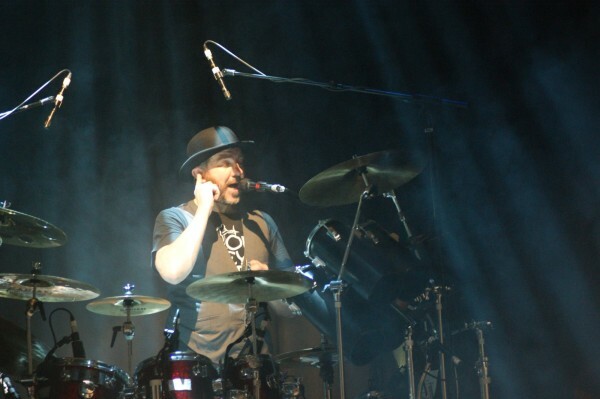 The other ‘downside’ of the gig was that it was a bit short … with more than 2 hours! It would have been so great to hear Ripples, Hairless heart, Entangled of Eleventh Earl of Mar…. But of course that wish only comes to the surface because I didn’t want it this gig to end at all. This was a night to remember, a stunning evening with one of the best guitarists in the world who also turns out to be the true keeper of the Genesis treasure.